Fremantle Furniture Co makes kitchens which some may call Hampton Style, Shaker or Modern Country Kitchens. Where required we can do VERY Rustic Kitchens too. Our kitchens are unlike most other manufacturers, usually quite simple, sturdy in construction, usually feature beautiful wooden tops and Belfast Sinks. All hardware is modern and functional. Our kitchens tend to suit renovations especially in older buildings where a modern, shinny, white kitchen is inappropriate. We can supply DIY kitchens too. This will often suit country clients where they can do the work themselves or get a local carpenter to assist in the installation. We often do laundry renovations in older house too. This is often a straight forward sink cupboard with washer cavity and wall cabinets. We are know for anything which fitted and customised like studies, cellars, walk-in wardrobes, bookcases etc. We have a wide range of technical expertise to suit most situations and love to work with exotic timbers. 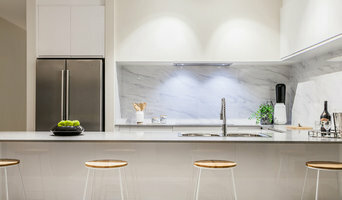 There are many types of kitchen professionals in Attadale, Western Australia – from cabinet makers, to carpenters and interior designers – and many trade professionals offer a full suite of expertise. Depending on the size of your kitchen renovation, and the kitchen designer, they may also hire contractors on your behalf and manage the project from beginning to end. Here are some related professionals and vendors to complement the work of kitchen & bathroom designers: Kitchen & Bathroom Fixtures, Appliances, Tile, Stone & Benchtops, Joinery and Cabinet Makers, Carpenters. 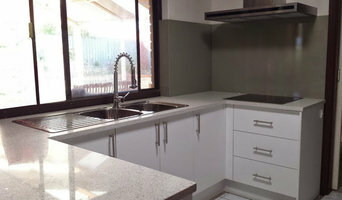 Find an Attadale, Western Australia kitchen designer on Houzz. Browse the Professional section on Houzz to find kitchen designers in Attadale, Western Australia. Then, scroll through photos of their latest kitchen renovations and see how their work compares to the scope of your project. You can read reviews to see how other homeowners rate their work, and message them directly to to ask any specific questions.